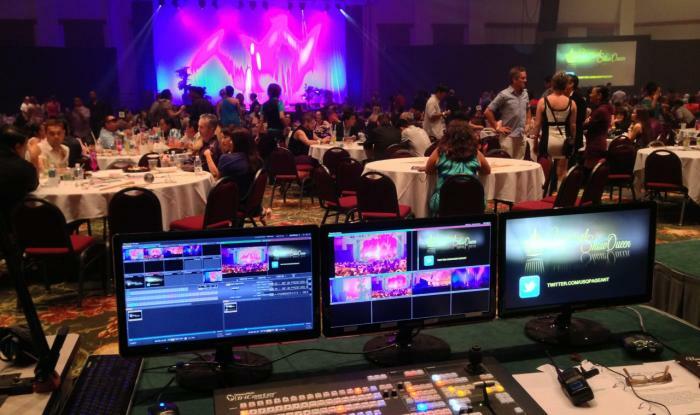 Universal Show Queen contracted us to provide all the live camera coverage for the pageant as it happened in real-time. The Program-Out line cut was fed to dual 16 foot rear projectors on both sides of the catwalk and stage for all 1500 guest in attendance to see. 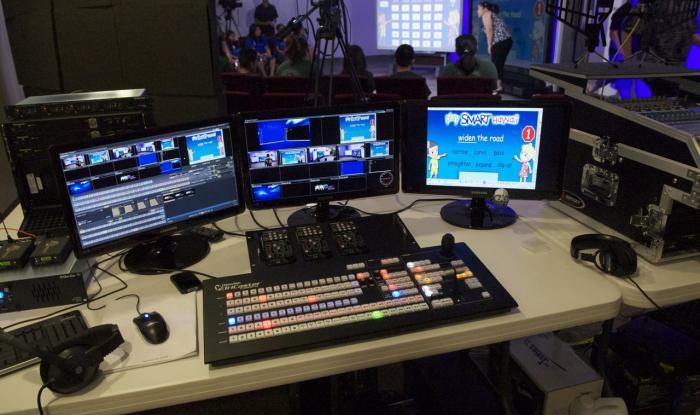 Play SMART Hawaii, the TV Game Show were two schools from far and away go head to head competing against each other on interactive SMART boards. Answering trivia questions, math equations, solving grammar errors, and playing educational based games, the school with the most points advances to the next round in a single elimination style tournament bracket competition.